Developer website: Brigadoon Software, Inc.
Is there a better alternative to MacPhoneHome? Is MacPhoneHome really the best app in Security category? 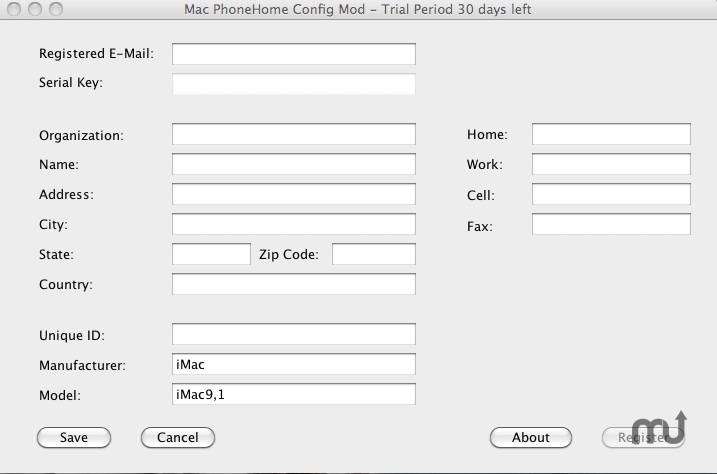 Will MacPhoneHome work good on macOS 10.13.4? MacPhoneHome is our multi-award winning software product and the first software product ever created to track and locate a lost or stolen Apple computer. MacPhoneHome installs in minutes, operates at a very low level using almost no resources and is completely transparent to the user. Every time a MacPhoneHome protected computer connects to the Internet, a stealth email is sent to a pre-determined email address of the user's choice and to our worldwide control center. MacPhoneHome needs a rating. Be the first to rate this app and get the discussion started!